One of the first things the Mill needed was a new roof. 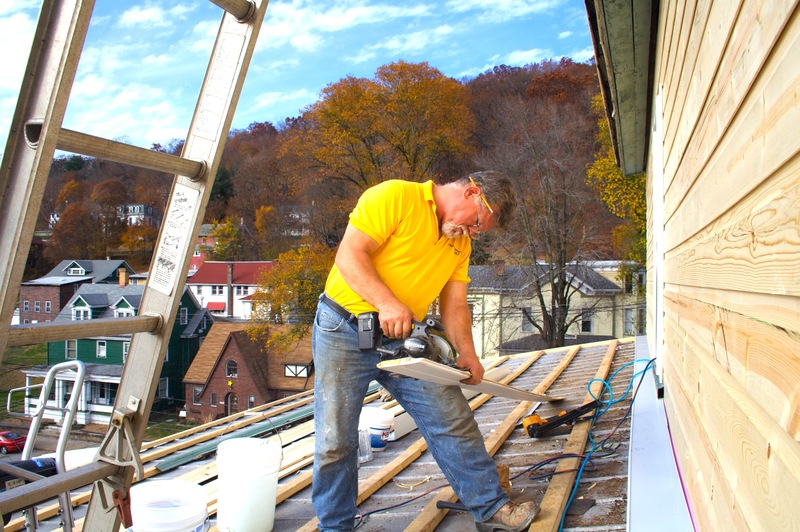 Joe Hanna, his sons and other helpers worked diligently through the Fall of 2008 to put a new roof and siding on the fourth and fifth floors of the Mill. 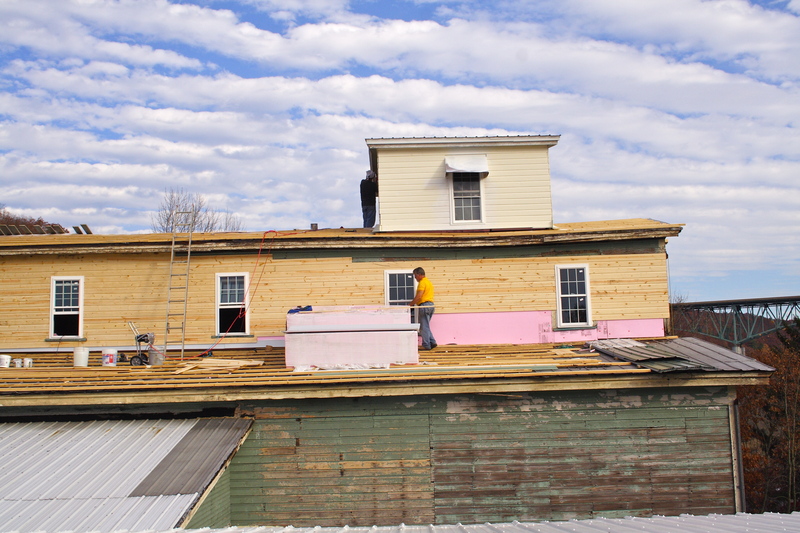 We used pink board to insulate the roof and then added metal. 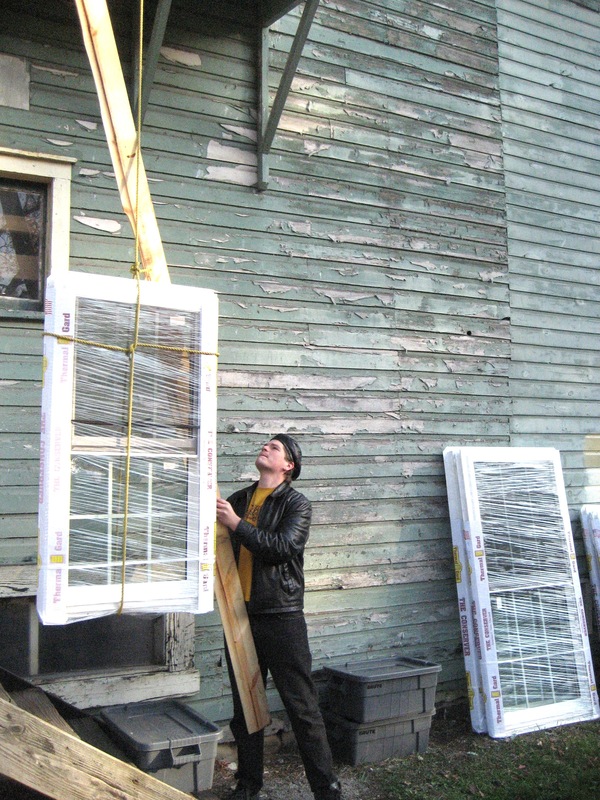 The new windows were hoisted by hand.